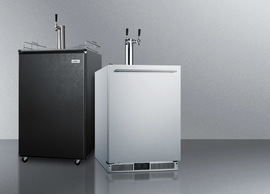 Enjoy ice cold beer in style with SUMMIT's Cold Cavern series of unique beer frosters. 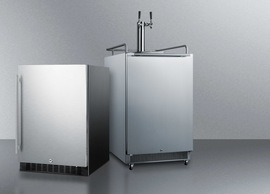 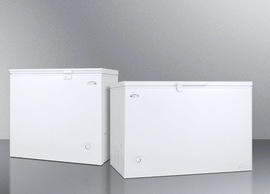 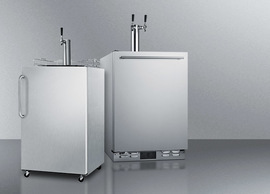 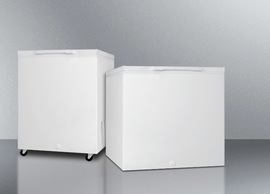 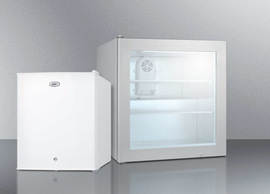 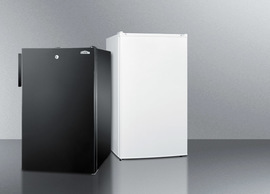 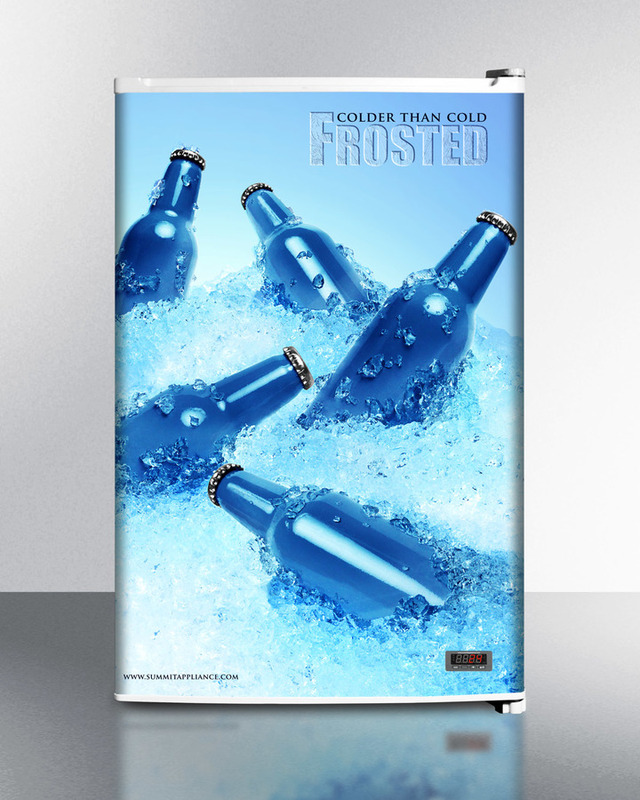 The FS603FROST is a counter height all-freezer specially designed to store aluminum bottles and cans at an arctic 24ºF, the perfect temperature for certain lighter domestic brews. 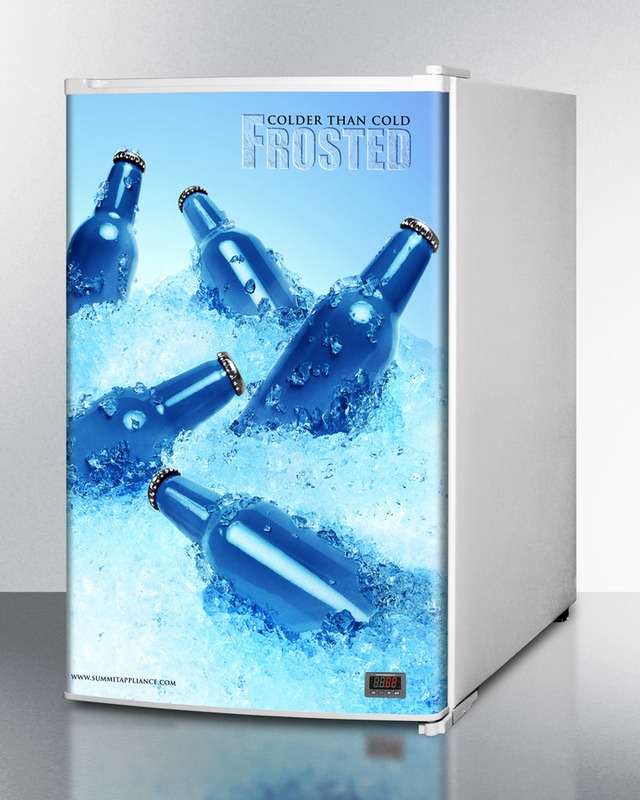 At this temperature, your bottle will actually frost, offering a deliciously crisp drinking experience. 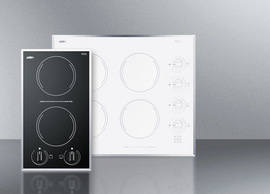 A digital thermostat is specially installed for precise temperature control, with an external temperature readout for added convenience. 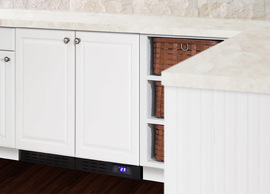 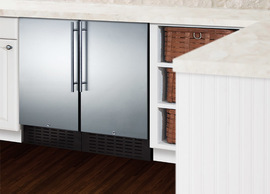 Two fixed shelves with coil cooling and three door racks offer easy storage convenience. 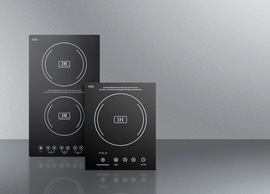 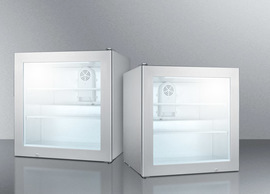 This unit utilizes static manual defrost operation. 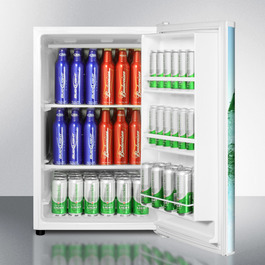 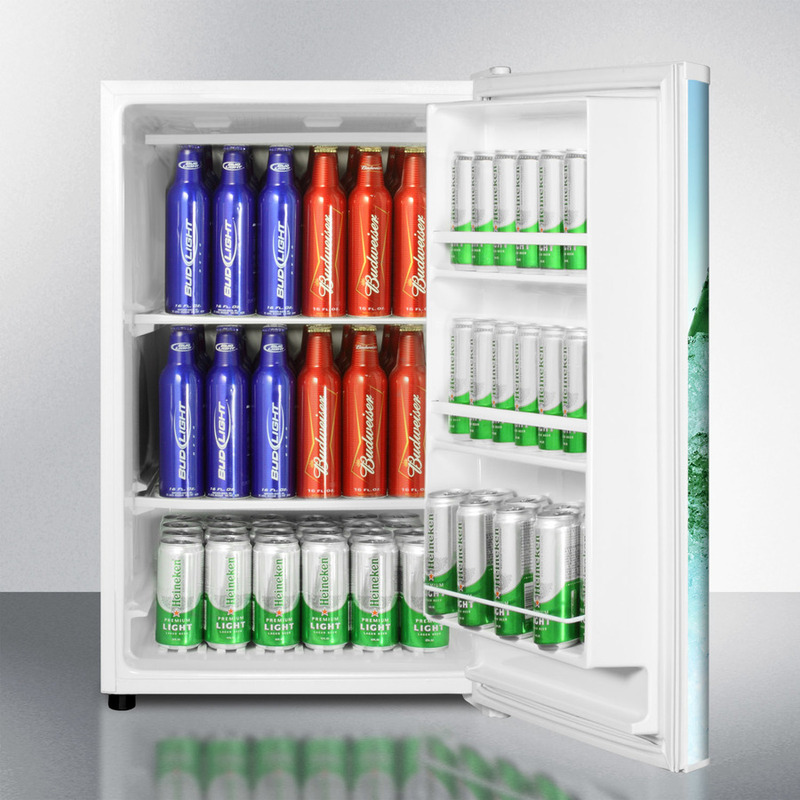 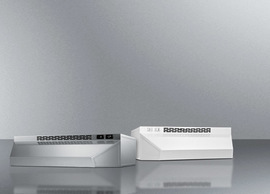 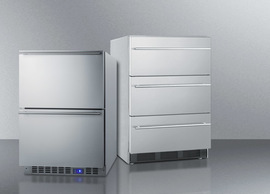 The FS603FROST comes in a textured white cabinet, with our exclusive Cold Cavern decal decorating the front. 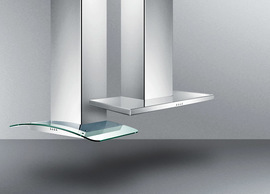 This unit has a right hand door swing. 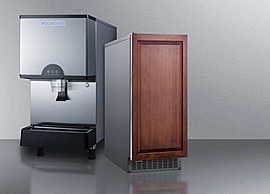 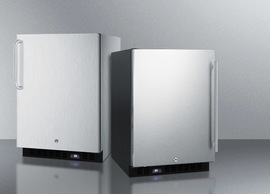 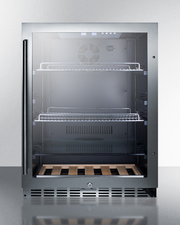 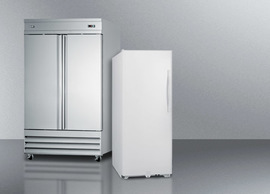 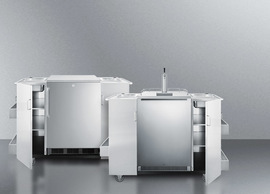 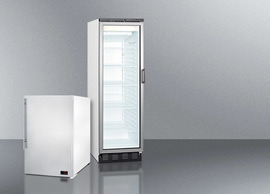 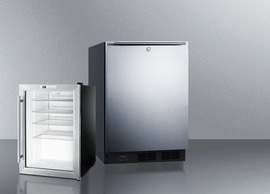 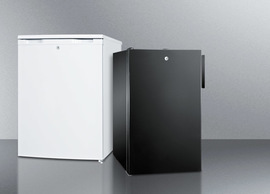 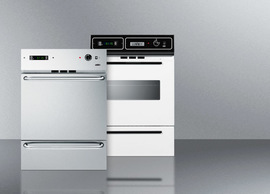 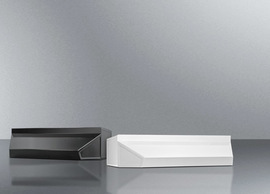 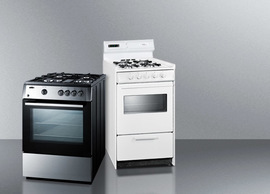 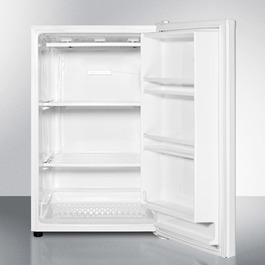 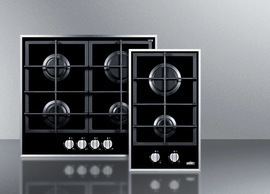 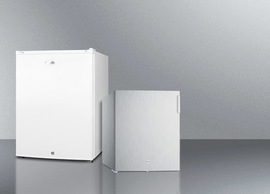 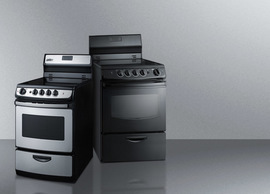 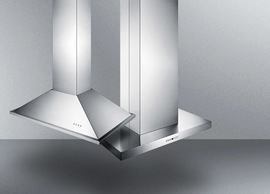 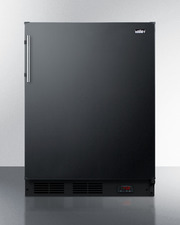 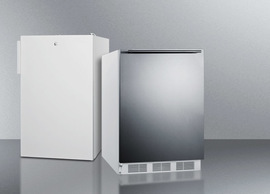 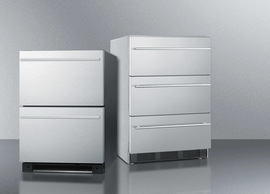 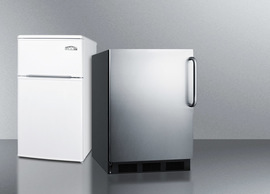 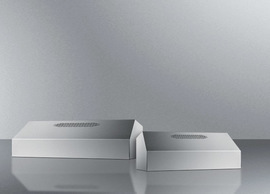 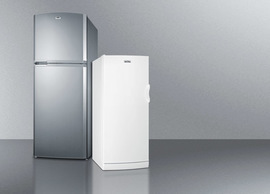 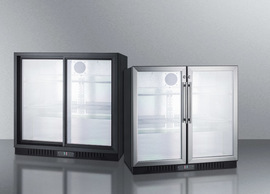 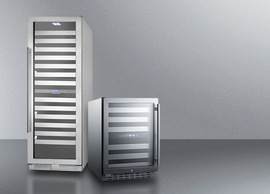 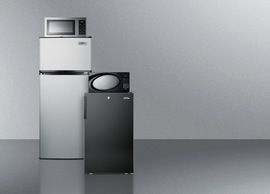 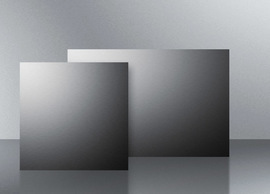 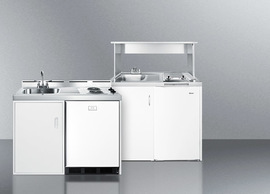 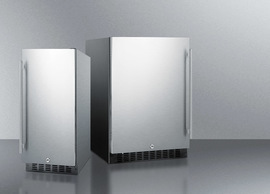 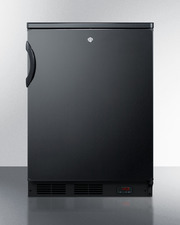 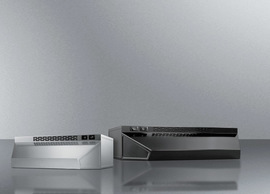 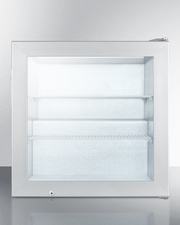 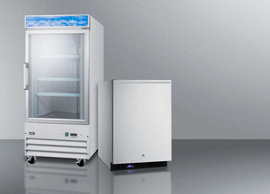 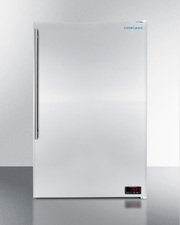 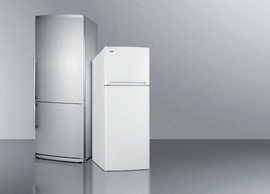 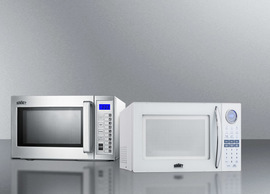 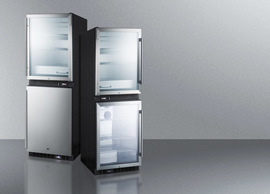 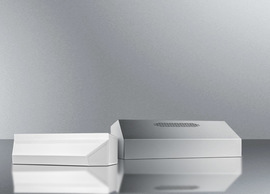 For the same model with a stainless steel door, see the FS603SSVHFROST.